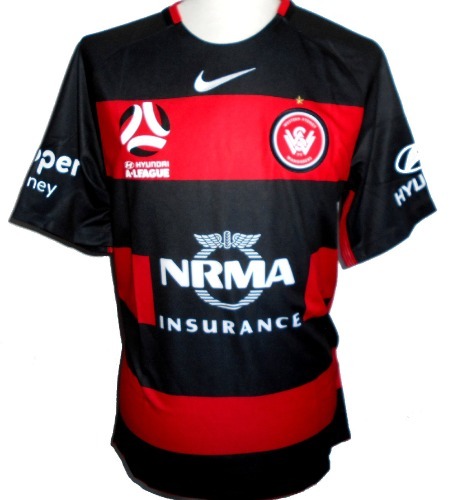 This is the official Nike men's home soccer jersey worn by Australian A League club Western Sydney Warriors FC in the 2017-2018 season. It is an official Nike football shirt, new with tags in Nike packaging. - Heat transferred A-League logo. - Red and black hoops. - Sponsors logos on chest, back and sleeves.